Boker's reaches its 100th anniversary in 2019 and will celebrate and honor its valued customers and employees throughout the year, as well as, the opening of their new manufacturing facility. Boker’s, founded in 1919 by Vitus Boker and his son, John, started their family business around their first products, an envelope folding machine and a small hand check protector. However, with his tooling knowledge, the enterprise began generating more revenue from manufacturing prototypes and custom parts for automated machinery. 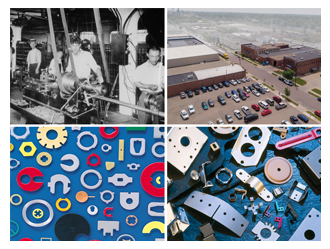 As the word spread of Boker's unique process for producing high-quality, short-run, stamped metal parts, demand grew. Vitus quickly found himself entrenched within the stamping industry as one of the pioneers of short-run stampings. 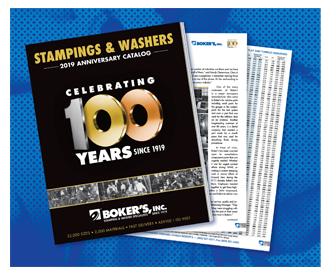 This year's commemorative catalog is a combination of Boker's stampings and washers capabilities, including a special section celebrating Boker's 100th anniversary, featuring an overview of Boker's rich history, significant milestones and memories from employees throughout the years. This 72-page catalog offers a reference guide for over 32,000 stock tools for flat washers, spacers and shims, including 500 new washer sizes, allowing customers to choose from a wide variety of sizes, thickness and materials. The catalog also includes the latest stamping technologies and manufacturing concepts to satisfy standard to complex and intricate stamping application needs. Boker's covers a complete range of sizes up to 12" x 12" (flat) with thicknesses from .005" to .190" (varies by material) and draws up to 3" deep and 8" in diameter. 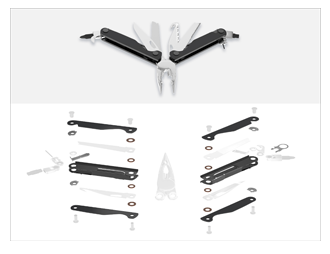 Boker's stampings, washers and shims are used within the cutlery market in products such as fixed blade knives, folding pocket knives and multi-tools. The multi-tool market uses Boker's spacers and shims to minimize friction and wear between moving parts. On the fixed blade side of the industry Boker's provides spacers and handle slabs to be mounted to the blade. 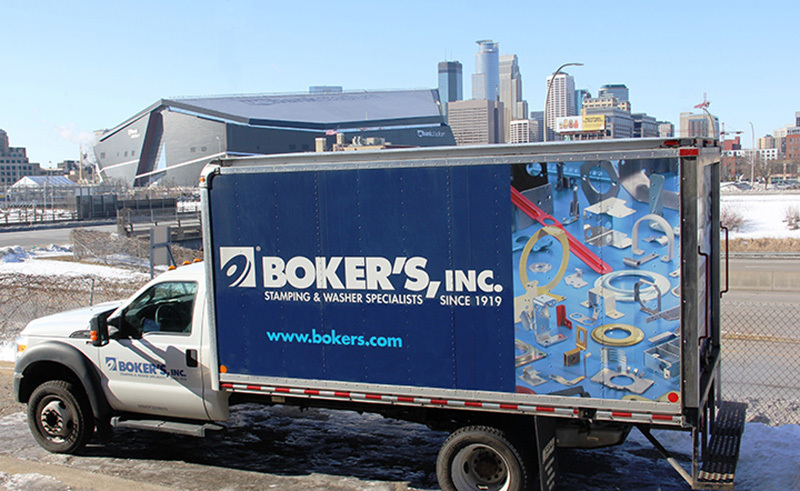 Boker’s Welcomes Collegiate Basketball Players and Fans to Minneapolis April 6th – 8th for the Big Games! Please visit this website to stay up to date on the recently executed steel and aluminum tariffs. We suggest bookmarking this webpage as it is continually updated with the latest information regarding the tariffs. Metalforming companies forecast an upturn in business conditions during the next three months, according to the February 2019 Precision Metalforming Association (PMA) Business Conditions Report. Prepared monthly, the report is an economic indicator for manufacturing, sampling 109 metalforming companies in the United States and Canada. The February report shows that 27% of participants anticipate an improvement in economic activity during the next three months (up from 23% in January), 66% expect no change (compared to 57% last month), and 7% predict a decline in activity (down from 20% in January). Subscribe to the Boker's Bulletin! Boker's Bulletin is sent out on a quarterly basis. View the current issue or subscribe to receive it as an email newsletter. For additional information including a Boker's Stampings & Washers Catalog, or Metric Conversion Chart, please use our Information Request Form. Access our database and use our Fast Quote Form for a quick quotation on your custom stamping needs. 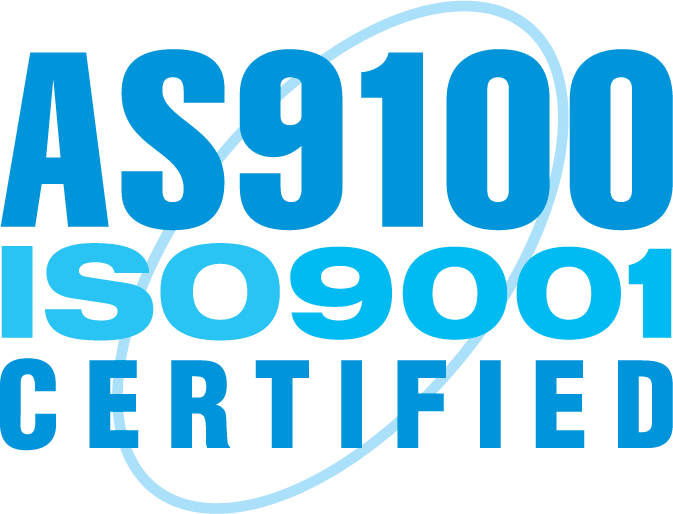 Copyright © 2019 Boker's, Inc.
You either received this e-mail because you have requested information from Boker's in the past, or we have obtained your address from a permission-based opt-in resource. 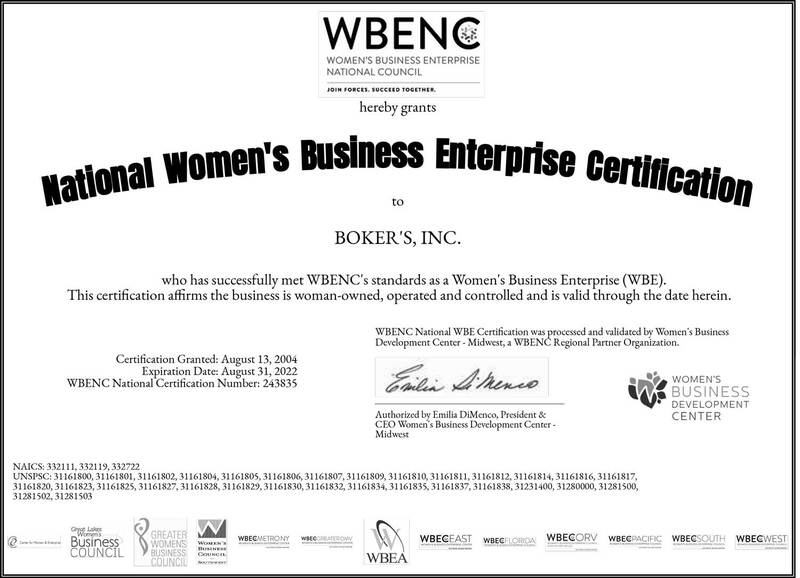 Our intent is to keep you up to date on Boker's latest capabilities and offerings. If you believe you received this message in error or would no longer like to receive updates from Boker's, please follow the unsubscribe information below. © Bokers, Inc. All Rights Reserved.